I am a huge movie fan however I don’t find a whole lot of time to sit down and watch a movie from start to finish. When I do, I love to get them from Redbox because there are always Redbox codes available for free movies. Below I have listed all of the Redbox promo codes that I know about and have used at some point. Each of these can be used once for each credit card. 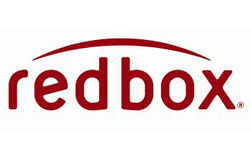 All Redbox movies are due back by 9pm or you will be charged for a second nights rental. Occasionally Redbox codes will be regional and not available in all areas of the country. If you know of any Redbox coupon codes that have worked for you and that I don’t have feel free to email me. I will get them added for others to use. If you are going to be renting a movie or game on the weekend I suggest checking available online before heading over to your local kiosk. If you find something that you want to rent you can use most Redbox promo codes online and then pick the movie up later. Below are some older codes that might still be working.